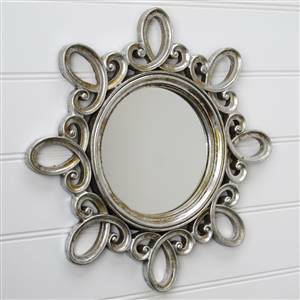 Round silver effect wall mirror adds a hint of glamour to any wall. Has an antiqued finish to the lovely swirl design frame. Diameter 40 cm approximately. Has a hook on the back for easy hanging.